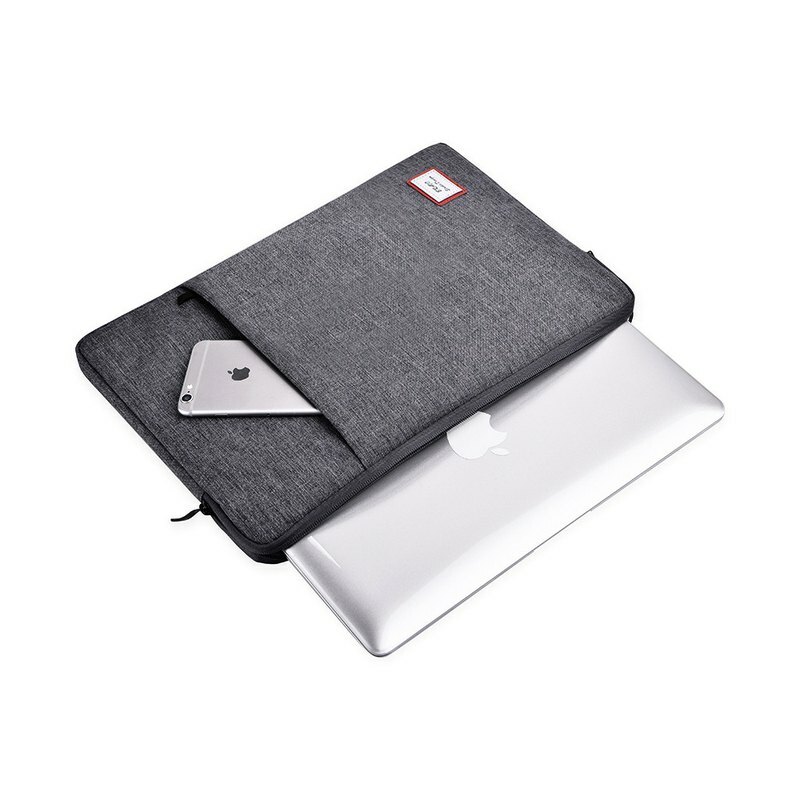 This waterproof laptop sleeve is designed to protect your macbook from dust and scrapes. The padded interior, slim design, and zipper closure combine for great protection and ultra-portability. Slim and lightweight does not bulk your laptop up and can easily slide into your briefcase backpack or other bag. The exterior front pocket is made to hold your notebooks, headphone and pen etc. Our laptop sleeve cases are personalized to keep you protective, portable and cute. Please be noted the dimension as below, 11 Inches: 12.5" x 9" x 1.1" / 31.8 x 22.8 x 2.79 cm 13 Inches: 13.9”x 10.2" x 1.1" / 35 x 26 x 2.79 cm 15 Inches: 15.3" x 11.4" x 1.2"/ 39 x 29 x 3.04 cm View other colors in shop: Grey: https://www.pinkoi.com/product/hCgeGTAa?category=1 If you would like to carry with handle, please check this: Dark grey: https://www.pinkoi.com/product/YuuwYaSS Grey: https://www.pinkoi.com/product/CLTbP4Q7?category=1 If you would like to add shoulder strap, kindly check this: https://www.pinkoi.com/product/cFBYBGpQ?category=1 Please allow for some variation in color between devices and screens. Actual colors may vary. Procession time: Generally I need three days to make the item. Delivery time: 3-5 days to China mainland, Taiwan, Hongkong and Macau. 2-3 weeks to other countries. Thanks for your visiting.